We’re excited to announce our latest product update that expands the ClientSuccess integration reach with Zapier. This continues driving our mission to consolidate your customer data in one place and provide the insights you need to deliver customer success. New ClientSuccess integration Zap templates include Slack, Intercom, Hubspot, and Pipedrive. Many, many more possible single point to point integrations using the ClientSuccess triggers and the thousands of Zapier Apps are now at your fingertips! Click here to see the new ClientSuccess Zaps on the Zapier Website. Below are some of the new ClientSuccess/Zapier template use cases to get you pumped about this new integration update. Increase visibility by notifying your company in Slack with client health insights from ClientSuccess. This integration will help you drive a culture around customer success with real-time data and insights pushed to Slack. A new pulse is added in ClientSuccess. Zapier sends a channel message in Slack. Keeping track of client interactions can take away time from communicating with the client themselves. Use this integration to automatically track in ClientSuccess when you’ve engaged with a client in Intercom, freeing up much more of your time for meaningful client interactions. Keep track of customer fulfillment by monitoring your contacts in ClientSuccess when a new contact is added to HubSpot CRM. This integration will save you time by automating this process, allowing you to stay focused on inbound marketing to obtain new contacts. A contact is created in HubSpot CRM. Zapier creates a new contact in ClientSuccess. 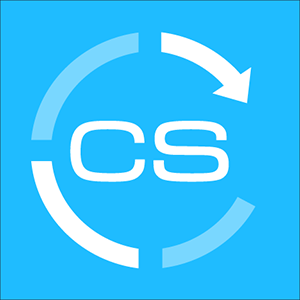 ClientSuccess makes it simple to track customer satisfaction. With this integration, you can add new companies in HubSpot CRM as new clients in ClientSuccess automatically, making it possible to associate contacts with that client for easy analysis. A company is created in HubSpot CRM. Zapier creates a new client in ClientSuccess. Managing clients through your pipeline can be monotonous and time-dependent tasks for even the most organized of users. Free up some of your time and organizational skills for bigger projects by using this integration! When a new deal in HubSpot CRM is created, Zapier will create a ClientSuccess Subscription for you. Save yourself time and energy by utilizing this integration to manage clients between two separate software apps. When a client is added to ClientSuccess, Zapier will use that client to create a company in HubSpot CRM automatically for you. You use multiple software apps to manage the same set of clients. You’re a pro at getting the most out of each system to provide the best experience possible for them. Take that experience to the next level by using this integration. Whenever a new organization is created in Pipedrive, Zapier will create the client in ClientSuccess for you automatically. This integration makes it easier to manage contacts across systems. Whenever a new person is added to Pipedrive, Zapier will create that person as a contact in ClientSuccess, leaving you with more time to focus on generating more leads. Never miss a new Pipedrive note and stop spending time on monotonous tasks with this integration! When a new note is added to Pipedrive, Zapier will create an engagement interaction in ClientSuccess automatically. Managing clients between multiple systems can be a pain. Whether manually entering clients in multiple accounts or waiting for enough data to bulk upload, your valuable time is being spent on tedious tasks. Use this integration to save that time! Whenever a new client is added to ClientSuccess, Zapier will create a new organization in Pipedrive for you automatically. You can also search and integrate many of the other Zaps found in Zapier. We will be updating and creating new templated apps based on needs and feedback. If you have any questions, please feel free to reach out to support or your assigned CSM.